7,000 dogs have received shelter from the freezing cold of winter. Will you make it 7,001? Help dogs stay warm through the rain, snow, ice, and freezing temperatures this winter. 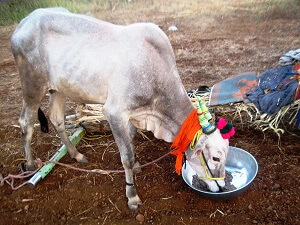 Animal Rahat is a unique program that aims to help some of the most neglected animals in the world—the bullocks, donkeys, and other working animals in India. Animal Rahat was founded in 2003 to provide these animals with relief. This lifesaving program now offers services throughout three districts in Maharashtra, one of the largest states in India. Animal Rahat is run by a dedicated staff that includes veterinarians, veterinary assistants, animal caretakers, and a full-time community educator. All of Animal Rahat’s veterinarians are on call for emergencies and advice around the clock, every day of the year. 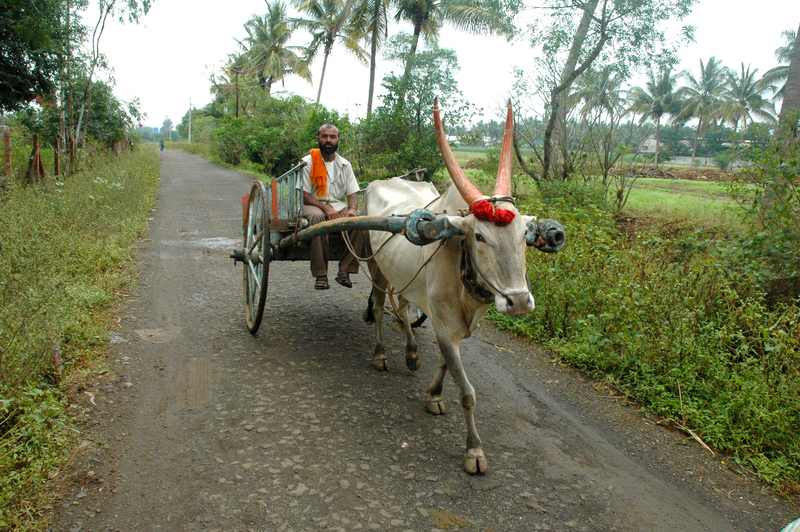 One of the more common sights in India is that of a bullock trudging along in the heat, straining under a heavy yoke to pull an overloaded, poorly balanced cart. These gentle animals often suffer from dehydration, untreated sores, and muscle strain, and sometimes they are subjected to frequent beatings. Please consider making a donation today to help rescue more animals from captivity, save imperiled wildlife, train government workers in humane animal-handling techniques, and stop traditions, such as ear-cutting, that harm animals. Thank you! Since its founding more than a decade ago as an organization dedicated to bringing relief to India’s working animals, Animal Rahat has become one of the most successful forces for all animals in need throughout the Sangli, Solapur, and Satara districts of Maharashtra. Members of the hard-working Rahat team—which operates solely on charitable donations—will go just about anywhere and do just about anything to rescue animals ranging from dogs and cats to chameleons and cobras. In this exclusive conversation, PETA President Ingrid Newkirk tells us what inspired her to start Animal Rahat, what improvements she’s seen in the past 10 years, and what readers can do to make a real difference in the lives of abused, injured, sick, and overworked animals. Was there one case in particular that gave you the idea to start Animal Rahat? I’ve always wanted to get help for the poor bullocks whose whole life is lived in servitude and who come to a bad end. 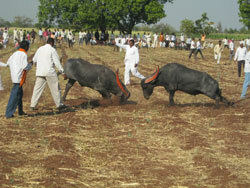 When I was a little girl living in India, I went to the aid of a bullock who had collapsed and was being beaten. The sight of him never left me. Could you tell our readers a little about the conditions endured by working animals in India? These dear animals have every conceivable horror visited upon them. Their situation epitomizes slavery: born to the yoke, castrated by having their testicles crushed with a rock, their nostrils pierced with a hot iron and a rope threaded through them that will forever be the way they are pulled, and whipped to make them run faster, even on sore and aching limbs, with a whip made of the skin of the bullock who went before them. It is a hard, hard life of constant toil filled with suffering. What is one major abuse that you think we’ll see the end of within the next five or 10 years? There isn’t one single abuse, but we have just won a victory against jallikatu, the racing and fighting of goaded bulls, and we will replace many bullock carts with mini-tractors in sugarcane factories. Animal Rahat charters buses to transport villagers to the annual Chinchali Fair—sparing horses and donkeys grueling days-long journeys—and has given sugar cane haulers tractors to replace their emaciated bullocks. What are some other innovations that Animal Rahat has introduced? The tractors, the buses, introducing chemical restraint so that bullocks can be operated on without pain, constructing sand pits so that when the bullocks are cast to the ground to be shod, they do not break a hip or otherwise become injured from the rocky terrain, and we are also pointing out the suffering caused by horn raspers—men who pare down the bullocks’ sensitive horns to make them look younger when they are offered for sale—among other things. Many cruel practices continue because of ignorance rather than malice. 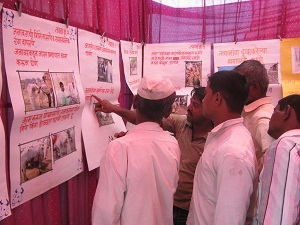 How is Animal Rahat educating communities about the basic needs of working animals? Other than wanton cruelty, like beatings when an animal collapses, most abuse is born of ignorance, a belief that animals do well without water, that they do not need rest, that they are super-resilient to heat, a misunderstanding of their nutrient needs and their pain tolerance, and so on. We have humane education in many schools to try to stop this cycle of abuse caused by ignorance, and we hold information tents at fairs, go to villages and hold meetings, and counsel people with sick and injured animals. How does Animal Rahat work with local law enforcement agencies to stop abuses? We work by giving seminars to police officers, and we ask for police help when we learn of an illegal bullfight or race, for instance. Do you think the spread of Western culture in India’s big cities will change how animals are treated in the regions where Animal Rahat works? It changes because with money come vehicles, and with vehicles, the need to use bullocks decreases. We were successful in banning bullock carts for oil deliveries in Mumbai. Poverty is so prevalent in many regions of India—what would you say to people who might question using resources to help animals when many humans are also suffering? Poverty is rampant, and no one can afford veterinary care, so providing it benefits humans as well. Teaching kindness is a kindness itself. 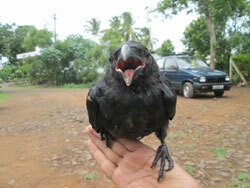 Are there ways in which animals are treated better in India than they are in Western countries? Yes, wild birds—pigeons, crows, and all birds—are fed every day in designated areas in the cities and towns, for instance, as a religious matter. The number of vegetarians is high, too, of course, although it’s decreasing. However, the most sacred “deity” animals, from elephants (Ganesh) to bulls (Nandi), cows (Krishna’s favorite), and monkeys (Hanuman), are treated very badly these days. How has Animal Rahat expanded its mission since its founding in 2003? We started in one small area with one veterinarian and an assistant. Today we are building a proper sanctuary, and we have seven vets and a total staff of about 40, covering five separate districts in Maharashtra. Is there one rescue story that sticks with you? There are many, but perhaps the one I remember best was the discovery of a bullock who had suffered a broken hip bone eight years earlier when a man threw a cinderblock at him in a fit of temper and who had been unable to walk since and must have endured unimaginable pain. We found this bullock tied by a small rope to the same pile of cinderblocks, never having been able to lie down on a flat surface. We were able to persuade the owner to let us take him to our sanctuary and allow him to live out his days there in comfort, with loving care, green grass, shade, and fresh water. What can people reading this blog do to support Animal Rahat’s work? Dogs chained or confined to a pen outside without shelter suffer terribly during the sweltering heat and raging storms of summer, particularly in rural areas where people say “dogs are meant to live outside” and laws to address cruelty are not enforced. As temperatures climb across this summer, dogs without adequate shelter are at risk of dehydration and heatstroke, which can cause a terrifying, painful death. Many dogs depend on PETA’s “Angels for Animals” doghouse program to find them and then to give them the shelter and attention that they need in extreme weather. By becoming an “Angels for Animals” sponsor today, you’ll be providing a sturdy new doghouse to a “backyard dog” struggling to survive long days outside without shelter from the blazing sun (and the winter winds). The doghouses are made to last and will provide shelter for years to come. On behalf of the dogs, thank you and woof! Two gift ideas for people in your life who love animals and want to make an impact. Dogs left outside without protection suffer terribly during the winter. 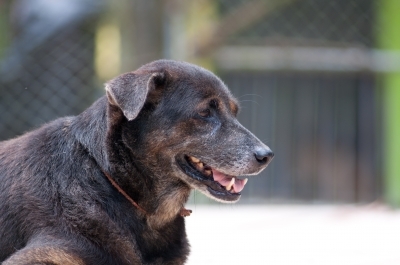 You can change the life of a chained dog who doesn’t have shelter from winter weather. Become an “Angel for Animals” sponsor, or contribute whatever amount you wish, and a sturdy doghouse will be delivered by People for the Ethical Treatment of Animals to a “backyard dog” to help her/her survive frigid weather.